Participating in a sport is one of the best things about growing up. Learning a game, practicing with team mates, learning how to cooperate together to reach a common goal, all of it teaches us how to function in society. Children can learn to challenge themselves and feel pride in a job well done when they participate in a sport. Unfortunately, another consequence of participating in a sport, especially one with a potential for high impact, is damaged or even missing teeth. We get a lot of inquiries about what sports we do or do not recommend your child wear a mouth guard to participate. Sports like cross country and swimming do not need a mouth guard, but they're not just for football players either. Any child who participates in a contact sport should invest in a mouth guard, including sports like skateboarding, mountain biking or gymnastics. Our skilled staff would happily assist you in choosing the right type of mouth guard for your child. If your child has already been participating in a contact sport without a mouth guard, your first step will be to call our office and set up an appointment. A checkup is needed to determine if there's already been damage that needs to be addressed prior to fitting for a mouth guard. There are many different mouth guards available, you don't necessarily need to be fitted by one of our dentists. At your visit, we will let you know what kind of mouth guard we recommend for your child. 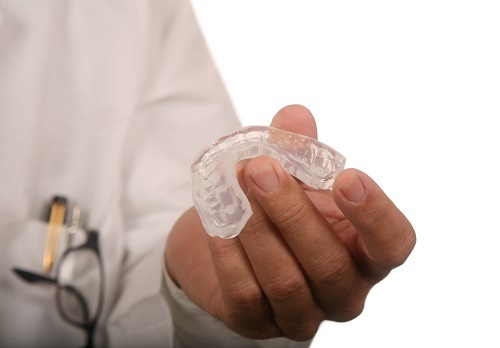 Many over the counter mouth guards are very helpful in protecting your child's teeth from damage while playing sports. While they may seem like an inconvenience and an added expense to play a sport, the benefits of protecting your child's teeth are well worth the trouble. Give us a call today and schedule a checkup for your child.